Zabo - Rosedale Ms Great product for a great price. "I am very pleased with my purchase"
chris13115 - texas for what you pay they are good. "i purchased a set of 2 tires for my atv that needed rear tires from my local atv dealer and its been about 1 month of constant use and they been holding up great so far, i can feel that going at high speed on corners, you have good traction but not better than stock, and on uphills you do have better upwards traction than stock. 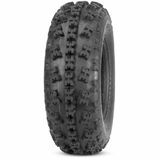 but regardless of the cheap price and been 4-ply if this tires can hold up for about another 5 months of me daily riding them hard and maybe 1 or 2 races then ill say this are a great alternative to more expensive and main brands." MotoSport.com provides the most comprehensive online motocross catalog. The amateur and pro racer, the weekend and new riders shop MotoSport for the best dirt bike parts and gear at the best prices. No one beats MotoSport for hard-to-find dirt bike parts, aftermarket or OEM. Our wide selection allows you to build a complete customized dirt bike. We make it easy to shop by make, model and year for specific motocross parts and gear. When you need dirt bike parts and accessories, we understand you don't want to spend a fortune or wait for a delayed delivery. When you put your trust in MotoSport.com, you'll get the bike parts gear and accessories you need at fantastic pricing and without the wait. We carry dirt bikes parts for the latest makes and models as well as those early rides still going strong. Our OEM parts arrive factory direct and we provide schematics to ensure you get the right part quick and easy. Select your bike and MotoSport will filter the items that fit your needs. No more worrying about finding the right bike parts or gear - online shopping couldn't be easier. Get your dirt bike parts and accessories from the guys that ride! Hard-to-find parts, clearance savings or just the latest bike parts and gear from the top manufacturers, no one beats MotoSport. In addition to our massive selection of motocross hard parts, clothing, accessories and protective gear you'll find the lowest prices on everything we stock - guaranteed! From helmets to jackets, fuel system to graphics, and lights to suspension - it's easy to find amazing markdowns and closeouts from our huge selection of discounted motorcycle parts and accessories. Our free 3-day express shipping offer, expert customer service, and full 90 day return policy make MotoSport the easiest place to get your dirt bike goods. Dirt Bike Parts - Find everything from bars and controls to tires and wheels to keep your motocross running in the best condition. OEM Dirt Bike Parts Parts - Honda, Kawasaki, KTM, Suzuki, Yamaha. What else? Dirt Bike Tires - Getting the right tires for your dirt bike at prices that equal savings matters. 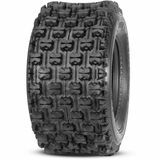 MotoSport delivers tire combos, front tires, rear tires, inner tubes and even tire tools right to your door. Motocross Tools and Maintenance - We provide everything needed to keep your dirt bike running smoothly. Dirt Bike Riding Gear - MotoSport.com has everything you need to cover yourself from head to toe. Dirt Bike Helmets and Accessories - Protecting your head has never been easier or more affordable. Our inventory includes helmets, replacement parts, accessories and even helmet cameras. Protection - Don't have to look any further to find all the protection gear you need. Dirt Bike Casual Apparel - Our casual gear line includes a wide selection of pants, shirts, shoes and more for men, women and children. Gifts - At MotoSport, we also offer an incredible selection of gift items for avid dirt bike riders. Brands - If your allegiance is to a specific brand, we make it easy to find. When you need dirt bike parts and accessories, MotoSport.com is here to assist. Just order any of our products online and we'll ship right to your door. Want help? Call our toll free line 866-677-7338 or chat with a MotoSport expert. Remember, we offer fast, free shipping on orders Over $79.